SCIENTISTS HAVE BEEN WORKING TO PINPOINT THE EXACT BRAIN REGIONS AND CIRCUITS THAT ARE INVOLVED IN ANXIETY DISORDERS. WHEN A THREAT IS PERCEIVED, THE SENSES DISPATCH SIGNALS TO TWO DIFFERENT PARTS OF THE BRAIN. ONE SIGNAL IS DIRECTED TO THE CEREBRAL CORTEX, THE THINKING PART OF THE BRAIN, BUT IT TAKES A CIRCUITOUS ROUTE. 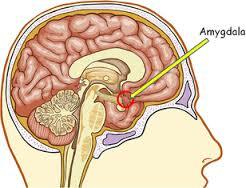 THE OTHER SIGNAL HEADS STRAIGHT FOR THE AMYGDALA, A SMALL, ALMOND-SHAPED STRUCTURE DEEP INSIDE THE BRAIN. THERE IT SETS OFF A VERY RAPID, AUTOMATIC RESPONSE THAT MOBILIZES THE BRAIN AND BODY TO DEAL WITH THE DANGER AT HAND. THIS AMYGDALA-BASED FEAR RESPONSE SWINGS INTO ACTION BEFORE THE THINKING PART OF THE BRAIN IS EVEN AWARE OF WHAT’S HAPPENING. INTERESTINGLY, RESEARCHERS HAVE FOUND THAT THE AMYGDALA CAN BE ACTIVATED NOT ONLY BY DANGER, BUT ALSO BY THE UNEXPECTED. ONCE THE AMYGDALA’S RAPID-RESPONSE SYSTEM HAS BEEN ACTIVATED, STRESS HORMONES ARE RELEASED INTO THE BLOOD. THE HEART BEATS FASTER, AND BLOOD IS DIVERTED FROM INTERNAL ORGANS TO THE MUSCLES, WHERE IT MAY BE NEEDED FOR QUICK ACTION. MEANWHILE, GLUCOSE POURS INTO THE BLOODSTREAM, WHERE IT SUPPLIES THE ENERGY NECESSARY FOR FIGHTING OR FLEEING. TO PROTECT THE PERSON IN FUTURE CONFRONTATIONS WITH THE SAME THREAT, A BLUEPRINT OF THE LEARNED FEAR RESPONSE IS ETCHED ONTO THE AMYGDALA. IN THE FACE OF REAL DANGER, THE FEAR RESPONSE SERVES A PROTECTIVE FUNCTION, AND IN A DIRE EMERGENCY, CAN BE A LITERAL LIFESAVER. THE PROBLEM ARISES WHEN FRIGHTENING OR UNEXPECTED EVENTS PRIME A PERSON’S BRAIN TO OVERREACT TO RELATIVELY HARMLESS SITUATIONS. IT’S EASY TO SEE HOW THE LEARNED FEAR RESPONSE THAT IS ETCHED ONTO THE BRAIN MIGHT BE A HINDRANCE RATHER THAN A HELP IN SUCH CASES. BUT HOW COULD THIS ONE PROCESS GIVE RISE TO SEVERAL DIFFERENT TYPES OF DYSFUNCTIONAL FEAR AND ANXIETY? SCIENTISTS ARE STILL INVESTIGATING THIS QUESTION. SOME RESEARCH INDICATES THAT DIFFERENT ANXIETY DISORDERS MAY BE ASSOCIATED WITH ACTIVATION IN DIFFERENT PARTS OF THE AMYGDALA. WHILE THE AMYGDALA IS THE FIRST PART OF THE BRAIN ACTIVATED, SENSORY INFORMATION ABOUT THE THREAT SOON REACHES THE CEREBRAL CORTEX AS WELL. 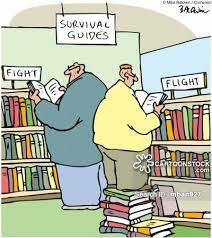 AT THIS POINT, THE PERSON IS ABLE TO RATIONALLY APPRAISE THE SITUATION. ULTIMATELY, THE AIM IS TO INCREASE COGNITIVE CONTROL OVER THE PERSON’S FEAR RESPONSE.